To review and purchase PDF versions of individual chapters of this publication, please click here. 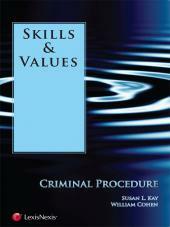 The Skills & Values Series is an innovative hybrid series of subject-specific, practice-oriented books and online materials supported by Web Courses (powered by Blackboard 9.1). The series is designed as a tool for professors to teach practical and analytical skills that can help students serve future clients competently, skillfully, and in an ethical manner. 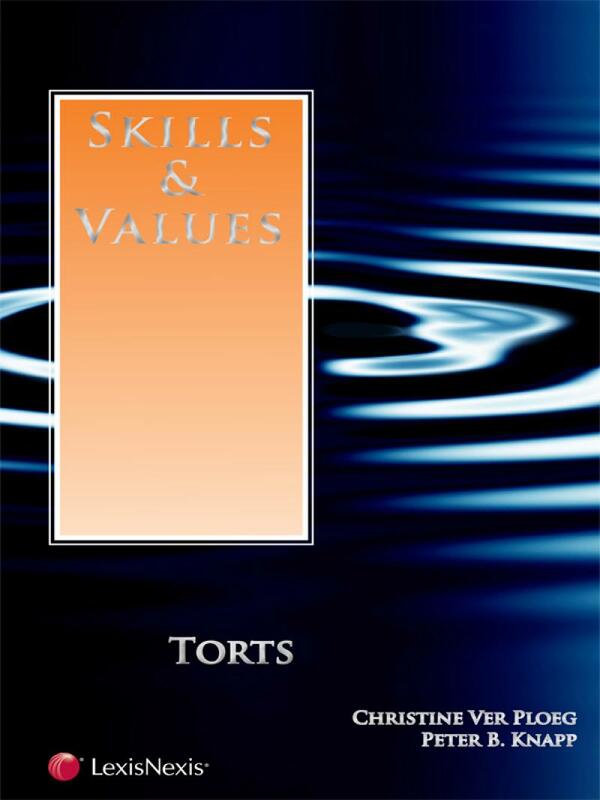 Skills & Values: Torts allows students to experience the connection between theory, doctrine, and practice in Torts law. 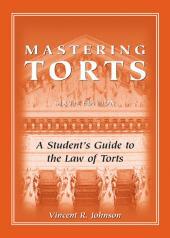 The exercises provide an opportunity for studying Torts concepts from the perspective of a practicing attorney who must not only know the law, but also employ lawyering skills and values - such as legal strategy, factual development, advocacy, counseling, drafting, problem solving, and ethical principles - in zealously representing a client. 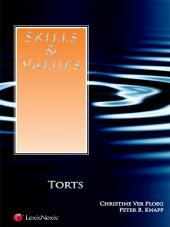 Each chapter in Skills & Values: Torts addresses a specific topic covered in most Torts law school courses. The chapters begin with an introduction to help bridge the gap between the actual practice of law and the doctrine and theory studied in class. Students will then have the opportunity to engage in active, "hands on" learning by working through a stand-alone exercise that simulates a real-life legal dilemma. The exercises are as authentic as possible, incorporating materials such as legal pleadings, motions, negotiations, correspondence, judicial opinions, statutes, discovery materials, and deposition excerpts. The self-assessment tools suggests ways that a practicing attorney might have approached each exercise. It is not meant to provide "the answer," but to identify issues and strategies students should have considered in order to effectively represent a client. • supplemental materials designed to increase students' understanding of both doctrine and practice. The text in the book will prompt readers to access the online Web Course materials when the materials are relevant to an exercise.